Update: I have added this clip to the blog even though it doesn’t fit. I cannot get it on any smaller…. 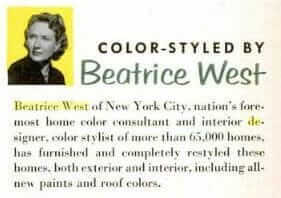 Thanks to Bo Sullivan, who works with Rejuvenation Lighting, for the tip on this 1949 film created to help postwar homeowner owners create the efficient kitchen of their dreams. It’s interesting to understand the context for films like this. 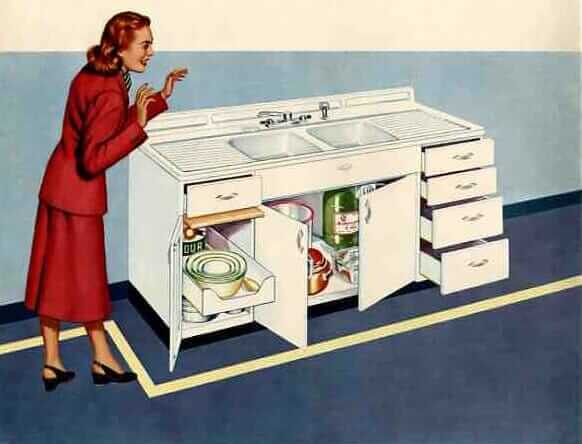 After World War II, housewives did need educating on how to design a modern kitchen. But I think the bigger purpose of this propaganda — and it IS propaganda — was to incite homeowners to part with their hard-earned war-time savings. Video source: The excellent archives.org. I’ve enjoyed referring back to this over the years…but what happened to the video? Is it not iphone accessible, or was it removed? It must be an iphone issue, because I still see it on my desktop. I see a space for it on my smartphone, but my phone doesn’t support that particular format, and it’s a gray box with an “x” in it. HOWEVER, if you go to the bottom of the article, just above the pictures where it says Related Stories, there is a link to the actual video – it says Video Source “The excellent archives.org” and that should take you straight to the video on the archives.org site where you should be able to watch it directly. I LOVE watching this video, and wish I could have that kitchen (with a few minor modifications to get it to fit my house) in place of the small, poorly designed kitchen I have been stuck with for the last 25 years! We were in a financial position to replace our kitchen about 15 years ago. The money was in the bank even. But, while I was way across the country at a funeral for a member of my side of the family, my poor husband was involved in a freak automobile accident involving a young man who had a much too-powerful automobile, a sense of invincibility, a complete lack of common sense or responsibility and a daddy and mommy who bailed him out of everything he got himself involved in through his own carelessness. My husband, thank God, was not seriously injured, but the truck was a complete loss and the insurance settlement didn’t come close to replacement cost. So, there went our kitchen money, to buy him another truck. The one we lost, even though older, was in beautiful condition, and had been very well maintained. Not that I begrudge him the truck, of course, but even decent used ones are so damned expensive, and I never thought it was fair that we should have been saddled with that extra expense. I still don’t, and recounting the incident just makes me angry. Anyway, we’ve never been able to make the numbers work for us again, like we did back then, so I still have my same old kitchen, except for a lot of work to paint the whole thing several years ago. 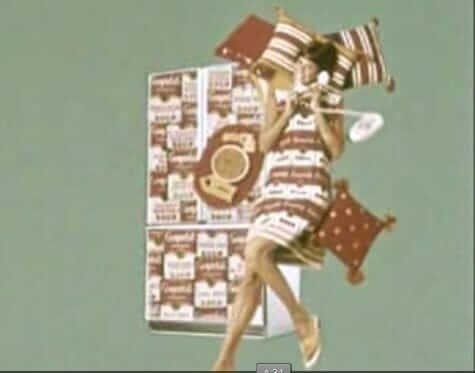 Not only do I love the kitchen features, but I also adore the “Functional House dresses” (as termed in the credits) which were designed and created by the Home Economist staff there. Have never been able to locate any patterns for them either, but I really would love to have a few! I looked everywhere for the blueprints! Thank you so much! I’m really late to the party on this one, but about those house dresses…. Some Googling brought me to https://www.nal.usda.gov/exhibits/ipd/apronsandkitchens/exhibits/show/kitchen-plans/step-saving-kitchen which gave me the title of the publication from which the dresses were created. (This above site is well worth your while to read. There are a lot of other really great dresses and aprons in the pamphlet.